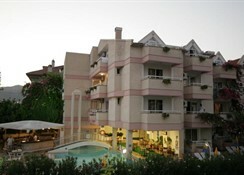 Surrounded by green grounds of pretty gardens, the Erden Han Apartments offer a peaceful stay in the heart of Marmaris. Whether you want to explore the town, visit the beach or just relax in the sun, these apartments give you a private and convenient space you can call your own. 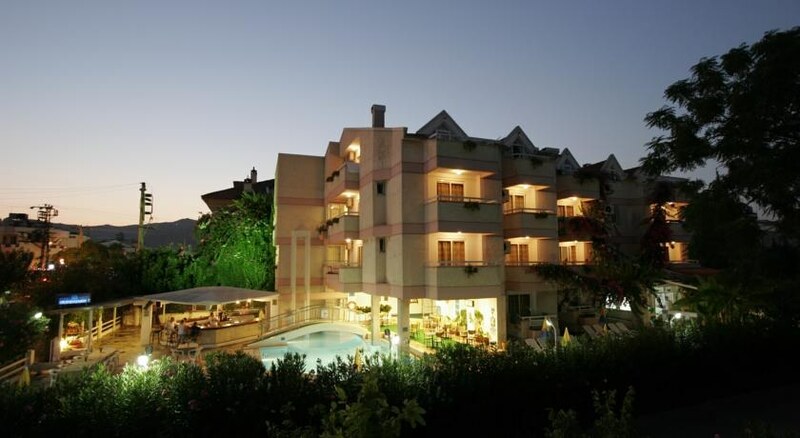 This friendly apartment complex is ideal for those who want a home from home in the centre of Marmaris, whether you are travelling as a couple, a group or a family. The hotel has an outdoor swimming pool, with a separate section for children. 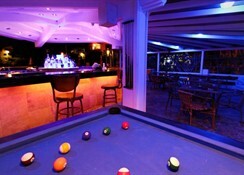 The pool is surrounded by a pretty garden, with a furnished terrace and a poolside bar. The Erden Han Apartments range from studios, which can accommodate up to three people, to one bedroom properties, which can house up to five guests. 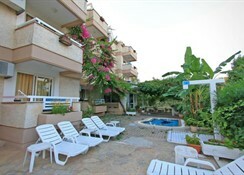 Each apartment looks out over the pool or gardens, and comes with a kitchenette, with cooking rings, a kettle, fridge and toaster, air conditioning, a telephone, internet access on request, a private bathroom, seating area and a balcony or terrace. Certain amenities may be payable locally. Guests can enjoy cooking and eating within their own apartments, as each is fitted with a kitchenette and a living space. The local market sits just a short walk away, so ingredients can be easily purchased. Drinks and snacks are available at the poolside bar. 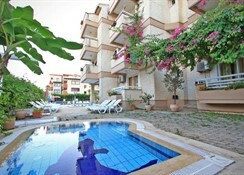 The Erden Han Apartments sit in the centre of Marmaris, just a five minute walk from the beach and the local market. The very heart of the town is around a 20 minute walk away.